While vacationing in Croatia, I heard a story about a diver who fits the description of people I sometimes call “robo-divers.” The story’s hero is a famous Croatian sponge diver, with whom I share an acquaintance. 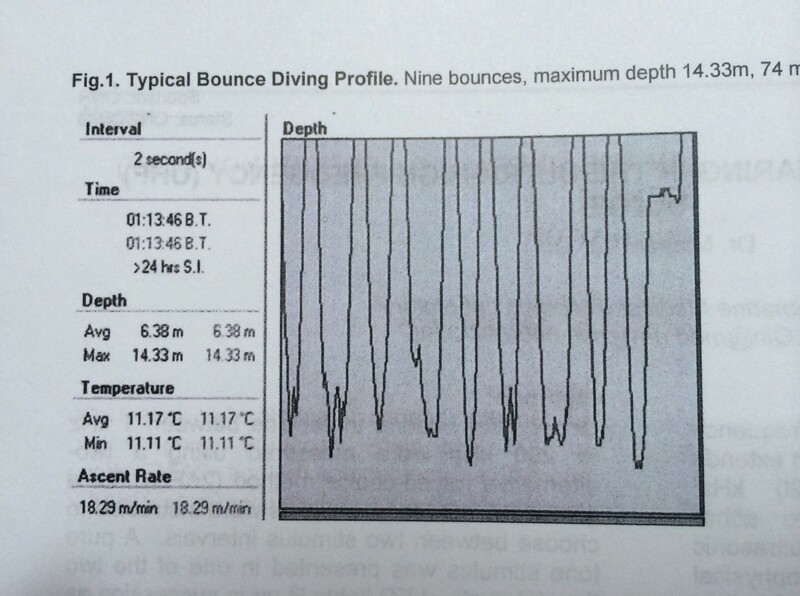 My friend, who is one of his teammates, described this robo-diver’s practice, which is similar to previously described empirical dive practices of other local sponge divers: Reportedly, he does four descents per day to extreme depths, after each of which he ascends very slowly without decompression stops. After the last dive of the day, he quickly takes his boat to shallow waters (within approximately 10 minutes) and descends for about two hours of decompression, split between stops at nine, six and three meters (30, 20 and 10 feet). I don’t know about his decompression sickness history, but I do know that he is 64 years old now, and the fact that he has survived this long following those types of dive practices make me think of him more as a robot than as a man of flesh and bone. At very least, it is unlikely that this diver has a PFO.